Our Harley Street & City of London clinics are open Monday to Friday. Urgent & walk-in general practitioner appointments are available Monday to Friday. Both of our clinics offer early morning and late evening appointments and additional availability around lunchtime. In addition to urgent GP appointments, we offer a fast-tracked specialist appointment service and same-day radiology and imaging service. Both of the walk-in clinics are registered with the Care Quality Commission and adhere to the highest clinical standards. All of our doctors have full registration with the General Medical Council. You will never feel you are on a conveyor belt. We take our time, make sure you have the opportunity to be listened to and everyone in the team, from the doctors to the administration team, will do everything we can to help. Can I just come in for a single appointment? Do I need to register? It is up to you how you use our services – whether it is a one-off or on a regular basis. There is no pressure to register or to return. We will only communicate with your GP if you ask us to and in exceptional circumstances. We always welcome regular registered patients. 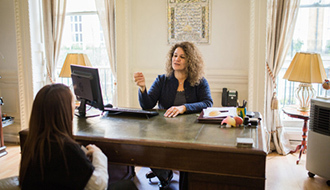 As part of the Harley Street Health Centre Group, we are accustomed to providing medical services to busy, professional people and those who require exceptional discretion. We have set into practice water-tight confidentiality procedures which include no mention of names in any public area and excellent security systems. How are our walk-in clinics different?